Come see us for your tranquil, soothing water feature product. and a variety of stone options await your curiosity! Nature likes to show off and we like to show her off! the center of attention	. Why not! You want to escape while still in the comfy confines of your own home? 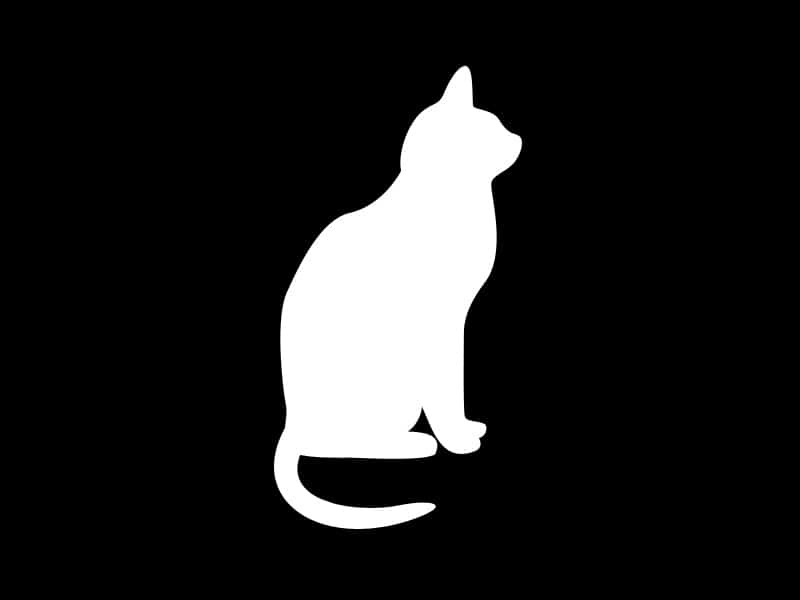 Come see us for all your materials! 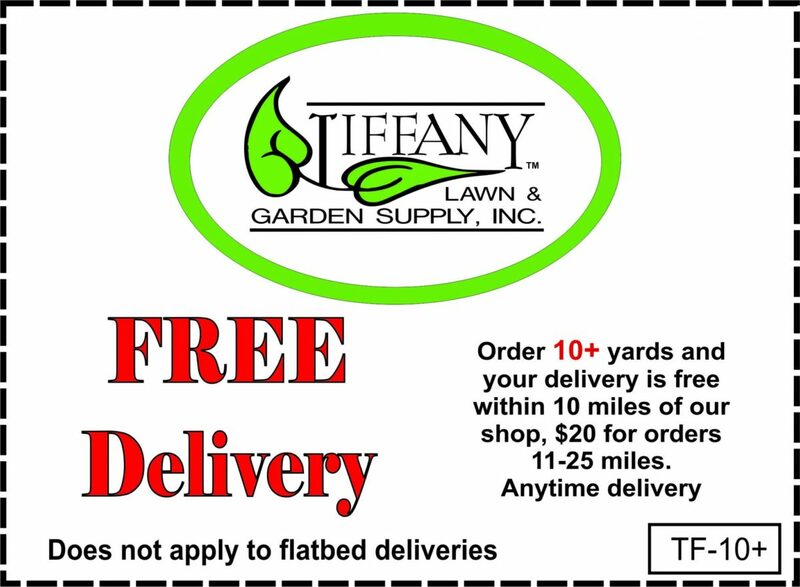 Tiffany Lawn & Garden Supply, Inc. is the premier landscape supply store in the greater Indianapolis area. We offer a variety of different landscape products including natural stone, organic soil, steel landscape edging, and landscape mulch. We also carry hardwood mulch, aggregate stone, and many more landscaping stones to choose from. No matter what type of landscaping supply you are searching for, you can find it from our well-stocked landscape supply store. 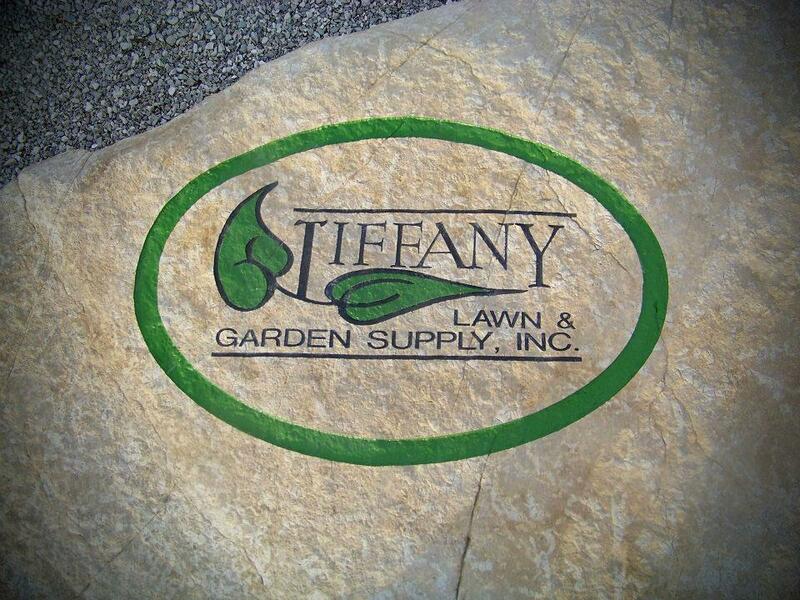 With three locations; Indianapolis, Greenwood and Noblesville, Tiffany's has your landscaping needs covered. We have a full stock of the best products for homeowners, businesses, schools, churches. Whether you have a small lawn and garden or a large expansive estate, we can supply just the right landscape products for your needs. Since 1979, we have been a reliable source for landscaping decorative stone and other materials for homeowners, business owners, churches, schools, and landscapers. We are proud to offer some of the best landscaping products nearby to Indianapolis, IN and Greenwood, IN. Count on us for landscape paver edging, outdoor fireplaces, and outdoor fire pits. We are also your source for drywall landscape stone, plastic landscape edging, aluminum landscape edging, composite edging, and outdoor benches. 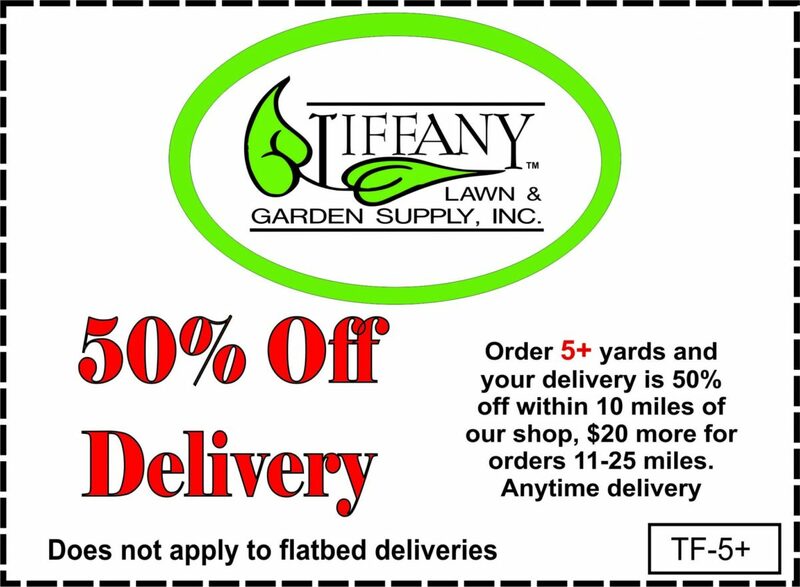 Tiffany Lawn & Garden has a solid reputation for outstanding quality workmanship. We are a proud member of the Better Business Bureau, The Indianapolis Landscape Association, The Indiana Nursery and Landscape Association and many other organizations. We have also received numerous public recognitions. Count on us for a job well done and a stunning landscape that enhances your property. 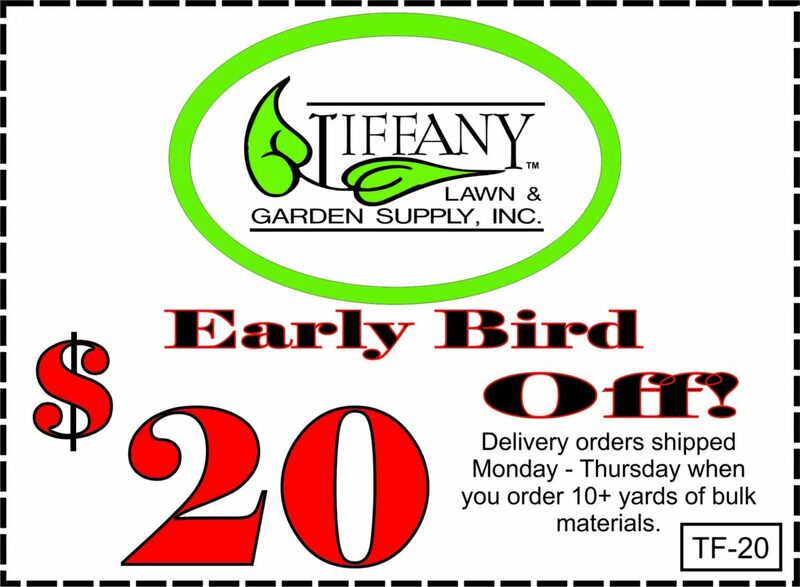 Whether you are looking for compost for sale or decorative stone, you can depend on Tiffany Lawn & Garden to provide the right solutions. Give us a call for more information at 1(800) 365-5678. 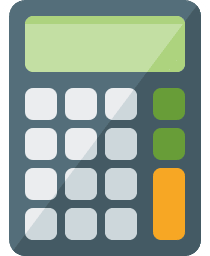 Use our Yardage Calculator to figure out how much to order. Great, quick service! I ordered 2 cubic yards of top soil, delivered that day, and 2.5 cubic yards of mulch, delivered the next day, last spring. More mulch will be ordered at the end of this month! 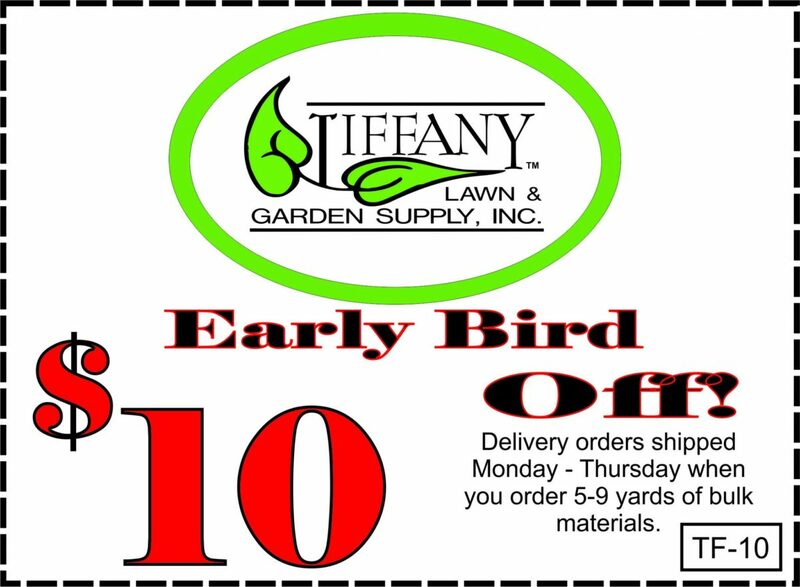 Tiffany Lawn & Garden Supply, Inc.